Extreme system performance. 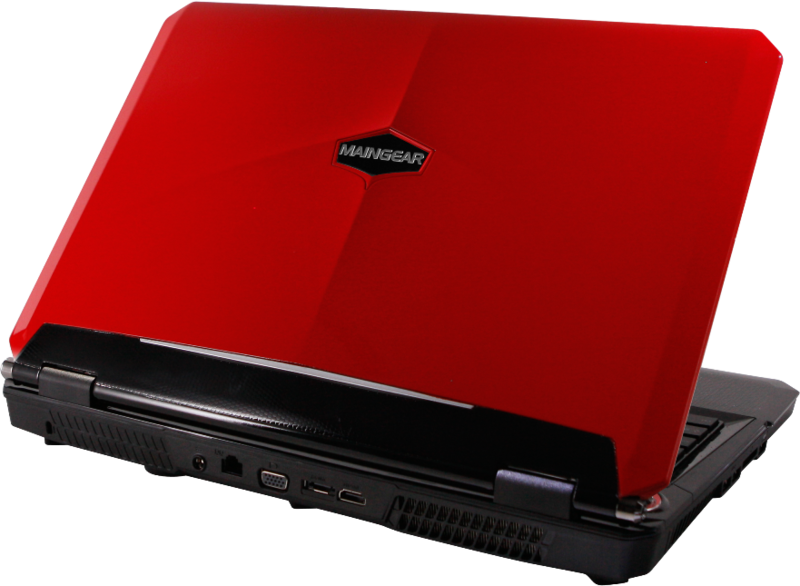 Equipped with an IVB CPU, Nvidia GTX 680M GPU and 2x Crucial m4 SATA III SSDs in RAID 0, the Nomad 15 is guaranteed not to disappoint. Find out what other surprises this Maingear DTR has to offer under the hood in our full review. Is this $2599 notebook more than just an MSI shell? After reviewing the iBuyPower CZ-17 last month and seeing it look nearly identical to our zero-point MSI GT60, we were hoping our next gaming laptop would be a fresh, new design. When you're spending a premium for a gaming laptop, you might expect a unique, beautifully designed chassis. You're not getting that here. What you're paying for is brute-force performance, and what a beast of a performer this Nomad 15 is. NVIDIA GeForce GTX 680M: High-End graphics card of the GeForce GTX 600M series, based on the 28nm Kepler architecture (GK104) that is manufactured in 28nm. With these GPUs you are able to play modern and demanding games fluently at medium detail settings and HD resolution. » Further information can be found in our Comparison of Mobile Graphics Cards and the corresponding Benchmark List. 3840QM: An Ivy Bridge-based quad-core processor clocked at 2.8 GHz with Turbo Boost support up to 3.8 GHz. Offers an integrated HD Graphics 4000 GPU and a dual channel DDR3 memory controller.» Further information can be found in our Comparison of Mobile Processsors. Maingear: US-American computer manufacturer, founded in 2002 with low international relevance. 87.5%: This is a good rating above average. Nevertheless you should not forget, that 10-15% of all notebook-models get a better rating.